← What’s in a Title/Name? I’m not a ‘nature’ person, but I do like taking pictures of it. I think the big bird is a robin, in my happy little mind, the little bird is a cardinal. 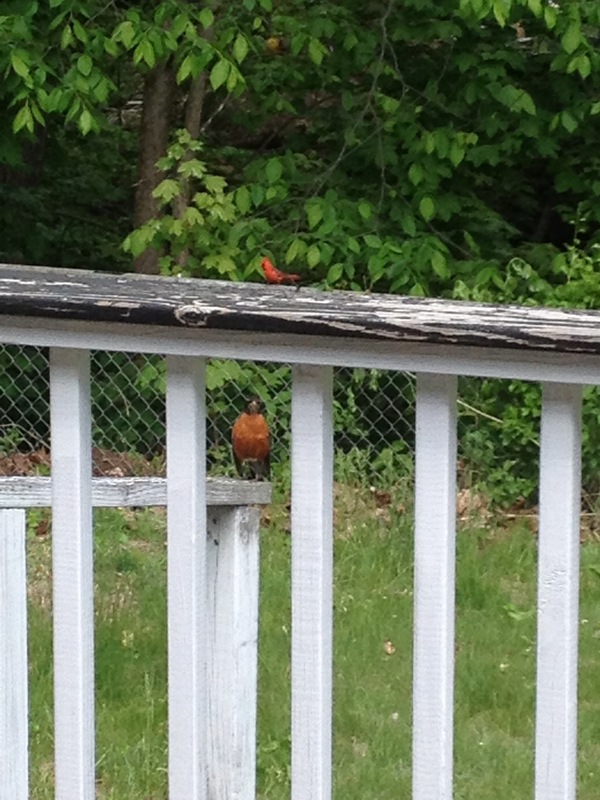 This entry was posted in Uncategorized and tagged birds, nature, outdoors, Photography. Bookmark the permalink.